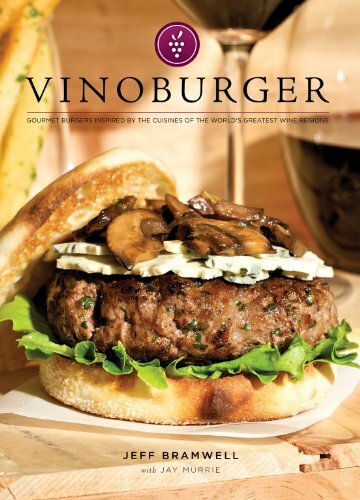 VinoBurger standalone chapters available on iBooks. Expanded content, updated recipes, pronunciation guide, photo gallery and more. A recent trip to Ann Arbor, Michigan and a stop at awe-inspiring Zingerman's Deli yielded a sizable haul of top quality canned seafood. Octopus, squid and cockles from Galicia, Spain's premier seafood source and one of the world's best canning industries; a number of different sardines, including several vintage-dated cans, from northwest France, just north of the Loire Valley; roasted red peppers stuffed with salt cod from Spain; and, not pictured, a number of other accoutrement to enhance the consumption of said seafood (baby artichokes in oil, fennel pâté, mustard, olives). It was an impressive selection even in comparison with the number of gourmet markets that so many of us have at our disposal. The best part about a feast like this is that all you have to do to enjoy it is toast up some good crusty bread, put out some citrus and olive oil, salt and pepper, and you're good to go. The only thing that takes a little thought is the wine selection. I tend to go with regionally-appropriate matches, so crisp, minerally white wines from Galicia, the Loire Valley and southern Italy were my first thoughts. This bounty was destined to be split up into multiple meals, so there's plenty of room for experimentation. For the first round of binging I used the lemon sardines, combined with fennel pâté, castelvetrano olives and a squeeze of lemon to push it in a Sicilian direction. I paired it with Ariana Occhipinti's "SP68" white blend of local grapes Albanello and Zibibbo, which is aromatic, tropical and citrusy, with a fleshy texture thanks to fermenting in contact with the skins for seven days. Eating the props immediately after completing the photograph.